Being in the Shin Osaka neighborhood, we took the Midosuji line from Nishinakajimaminamikata Station to Osaka Station, from where we took the JR Yamatoji line to Nara, which takes 50 minutes. The Yamatoji line is covered by Japan Rail Pass. Most of the sights can be easily accessed on foot, except for Heijo Palace which can be accessed via a local bus. 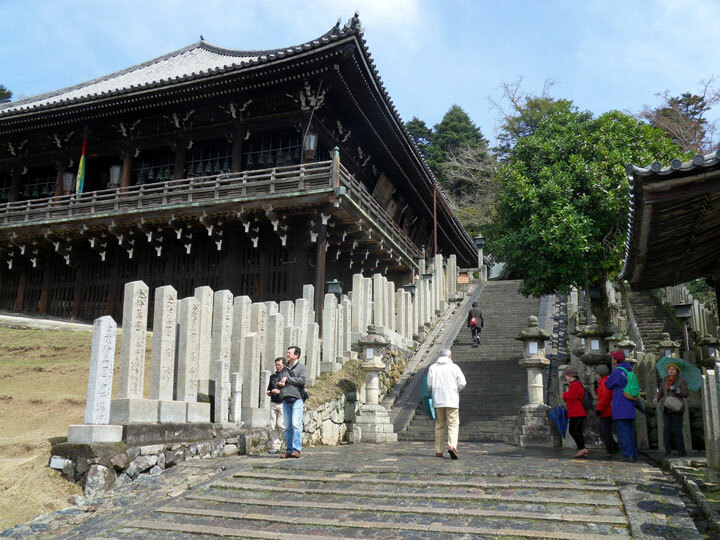 We wanted to visit Nara as a day-trip, returning back to Osaka. We took the bus to our first stop was at the ruins of Heijo Palace. 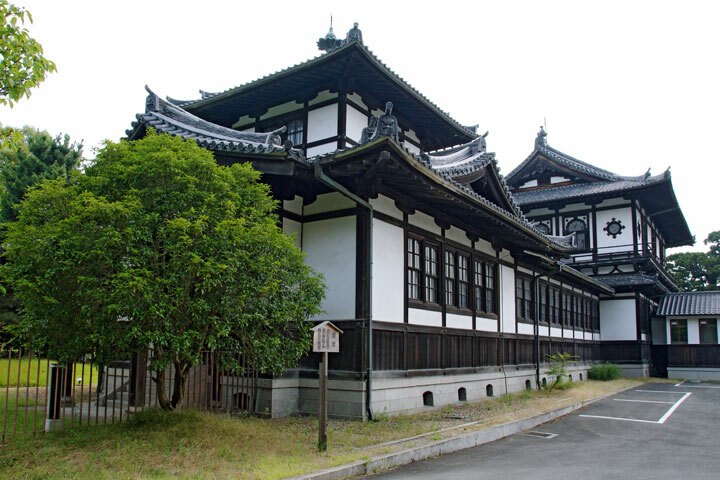 Nara served as the capital of Japan for almost 85 years and this is when Heijo Palace extended about one kilometer wide and one kilometer long. 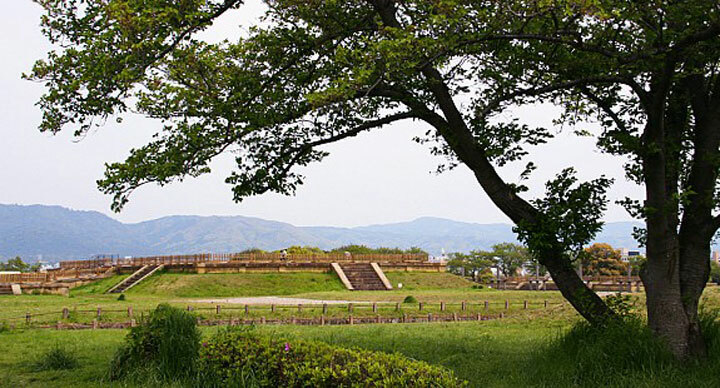 It also served as the site of the emperor’s residence and the government offices. 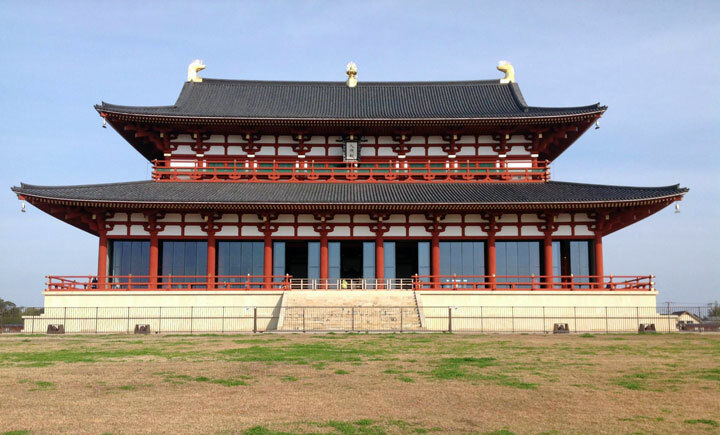 The palace once stood as the majestic center of the ancient capital, but all of its buildings were eventually lost with the exception of a single hall that now stands at Toshodaiji Temple. People moved out when the capital was moved away in 784. The temples on the outskirts of the former capital, however, retained their importance, and the city of Nara eventually resumed its growth around these temples, while the palace grounds were used for nothing but rice fields. Three major structures of the former palace complex have been reconstructed recently, among them is the Former Audience Hall (Daigokuden). 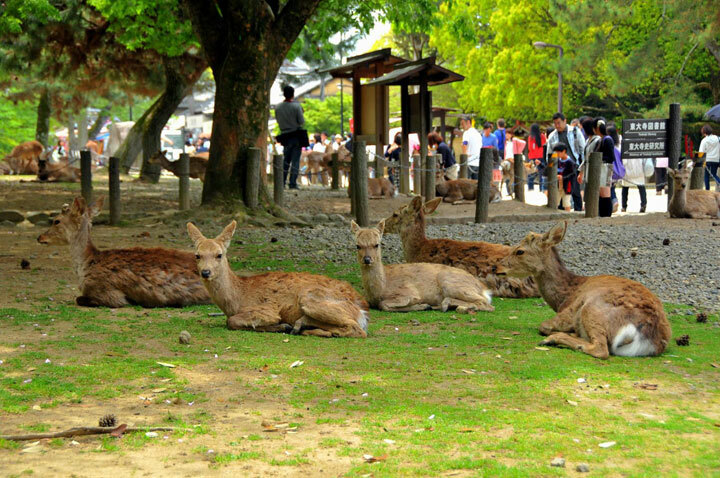 Took the bus from Heijo Palace ruins to Nara Park, where three main attractions of Nara are located. One of the best places to see cherry blossoms, this park is home to almost 1200 freely roaming deer. Similar to the deer on Miyajima, Nara’s deer are surprisingly tame, although they can be rather aggressive if they think you will feed them. Deer crackers are for sale (¥150) around the park, and some deer have learned to bow to visitors asking to be fed. 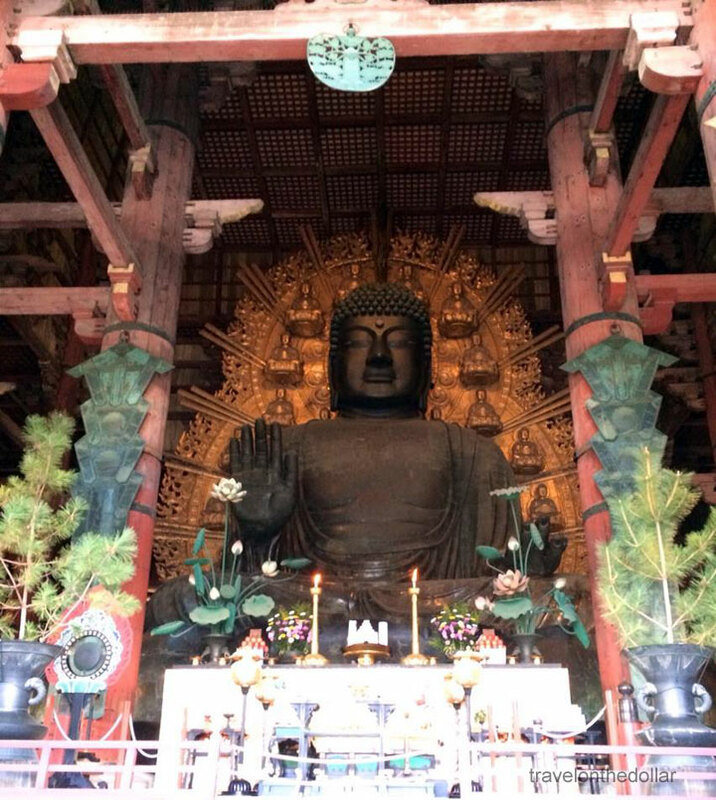 The main attraction around Nara Park is this temple with the world’s largest wooden building – Daibutsuden (Big Buddha Hall), despite the fact that the present reconstruction of 1692 is only two thirds of the original temple hall’s size. 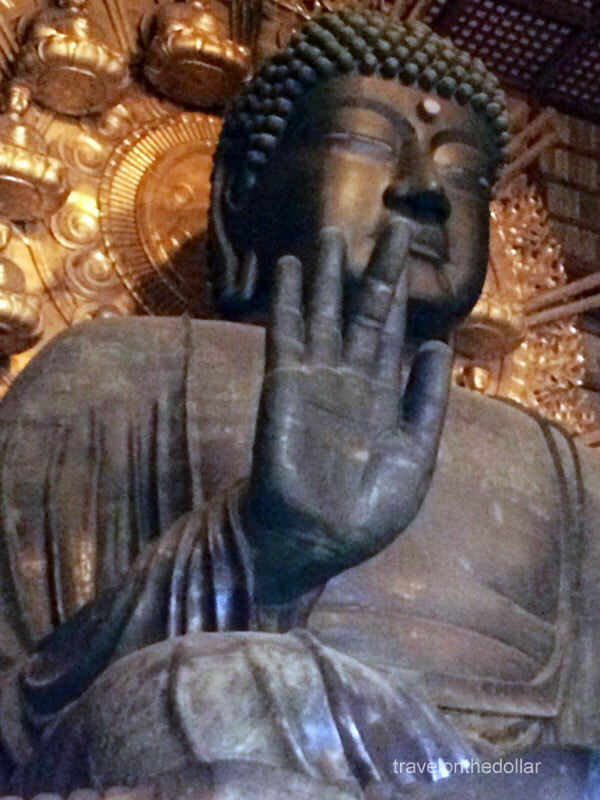 The massive building houses one of Japan’s largest bronze statues of Buddha (Daibutsu). The 15 meters tall, seated Buddha represents Vairocana and is flanked by two Bodhisattvas. Another popular attraction is a pillar with a hole in its base that is the same size as the Daibutsu’s nostril. It is said that those who can squeeze through this opening will be granted enlightenment in their next life. 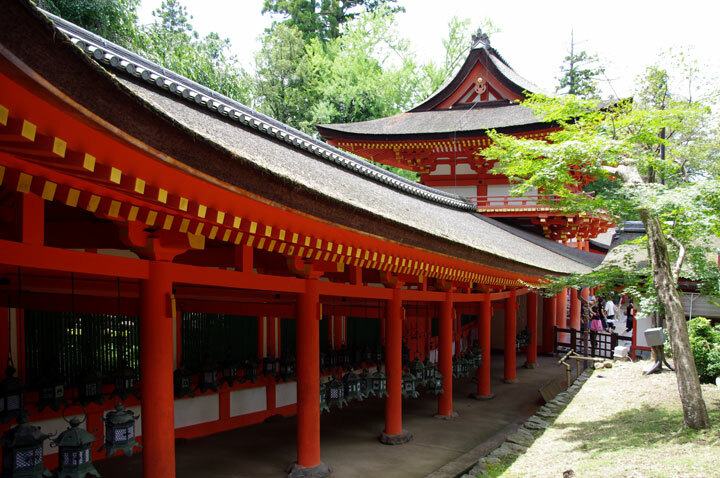 In the same complex of Nara park is Kasuga Taisha, Nara’s most celebrated shrine. 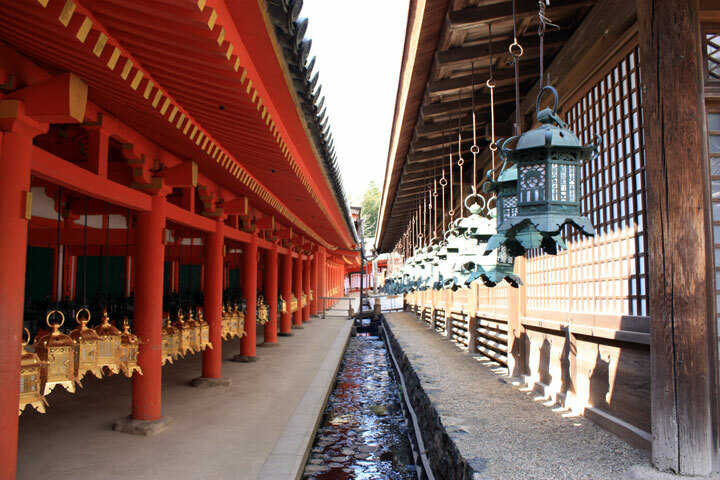 The shrine’s offering hall can be visited for free, but the inner area that provides a closer view of the shrine’s inner buildings costs ¥500. 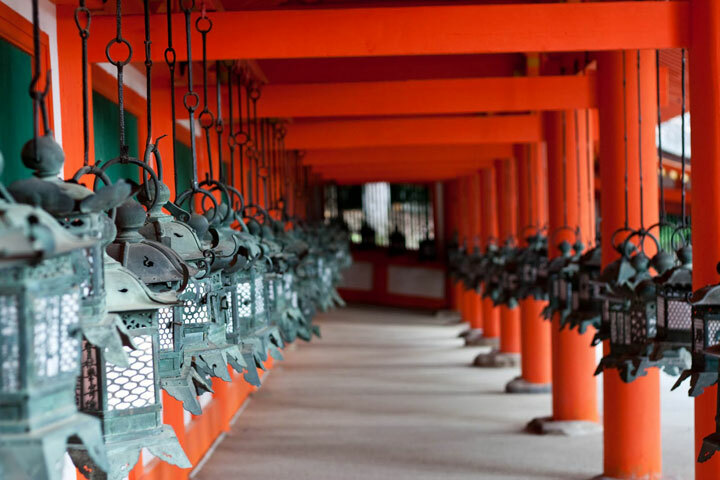 Kasuga Taisha is famous for its lanterns, which have been donated by worshipers. Hundreds of bronze lanterns hanging from the buildings, are lit twice a year on the occasion of the Lantern Festivals in early February and mid August. 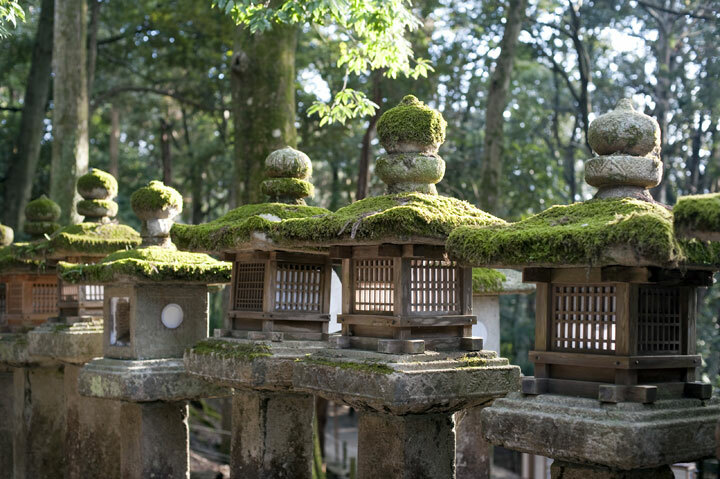 Located a short walk from the Kasuga Shrine main complex is this garden displaying about 250 kinds of plants described in the Manyoshu, Japan’s oldest collection of poems which dates to the Nara Period. 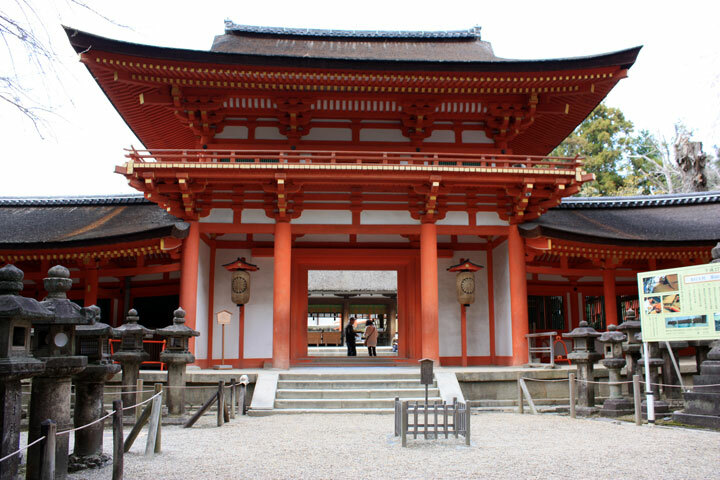 The shrine grounds also contain a Treasure House near the main complex which displays the shrine’s relics. These include two sets of large ornate drums. 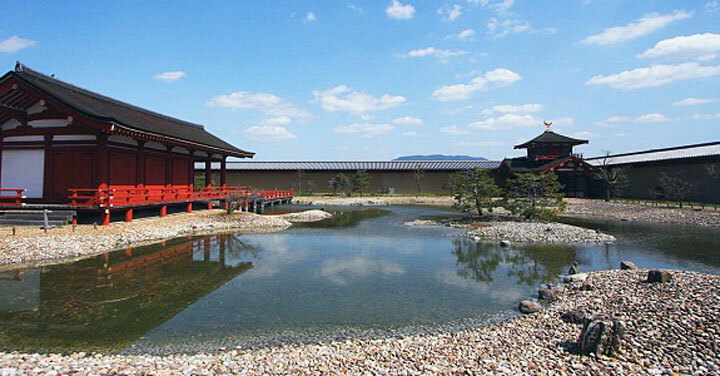 Another gem in the same compound is the Nara National Museum that primarily displays Japanese Buddhist art and costs . Established over 100 years ago, this museum retains its original building. 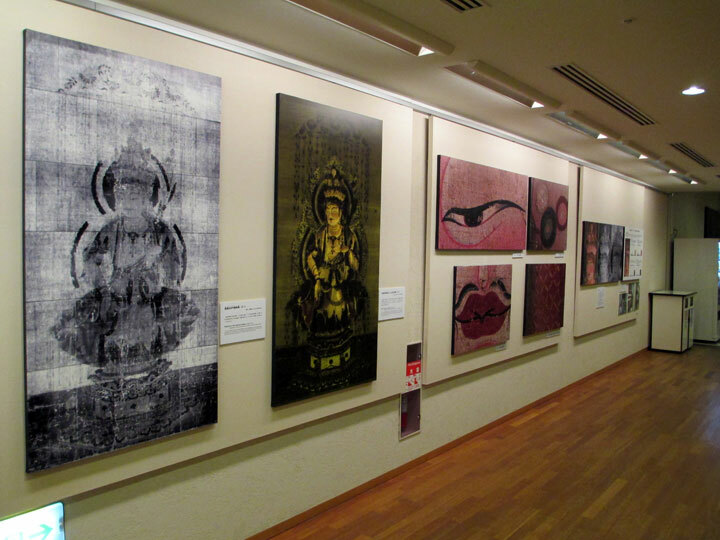 Both wings display the museum’s permanent collection, which includes Buddhist statues, paintings, scrolls and ceremonial objects mainly from Japan. The new wing also houses temporary exhibitions, including annual exhibitions of treasures from the Todaiji Temple in autumn. A ticket to the museum gives access to both wings, and English explanations are available throughout the museum. After walking back towards Nara Station, which took about an hour, we went to the post office to get the stamp of Nara on the Postal Stamps Travelogue book. And another 15 minutes brought us back to Nara station form where we took the train to Osaka Station, reaching in one hour. Osaka Castle, Shitteno-ji Temple, Umeda Sky Building, Tenman-gu Shrine. Nara Park, Todai-ji Temple, Kasuga Taisha, Heijo Palace, National Museum. Nagoya Castle, Osu Kannon Temple, Nagoya TV Tower, Maglev Railway Museum, Sakae.